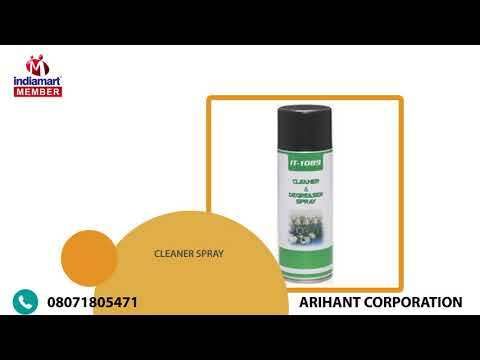 We, "Arihant Corporation", are well known organization established in the year 2007, at Ahmadabad (Gujarat, India). Our company is the foremost and trusted trader and supplier of Lubricant Oils, Lubricant Spray, Synthetic Lubricant, Aerospace Lubricant, Grease Lubricant, Release Agents, Cleaner And Degreaser Spray, Timing Belt and Industrial Pulley. The offered lubricants are processed in the most suitable environment using high grade petroleum based compounds with the help of advanced processing techniques. These lubricants are highly appreciated by our clients for features like high viscosity, purity, longs shelf life and high effectiveness. We offer these lubricants in various packaging options keeping in mind the exact requirements of clients. The offered timing belt and pulley are manufactured using the best quality raw material keeping in mind set industry standards. These are known for high strength, durability, robust construction and fine finish.